Today i am going to introduce a new brand —PaNee Hand Made Soaps . The brand is brain Child of Ms.Poonam Pincha . The brand prepares hand made soaps which are chemical free . 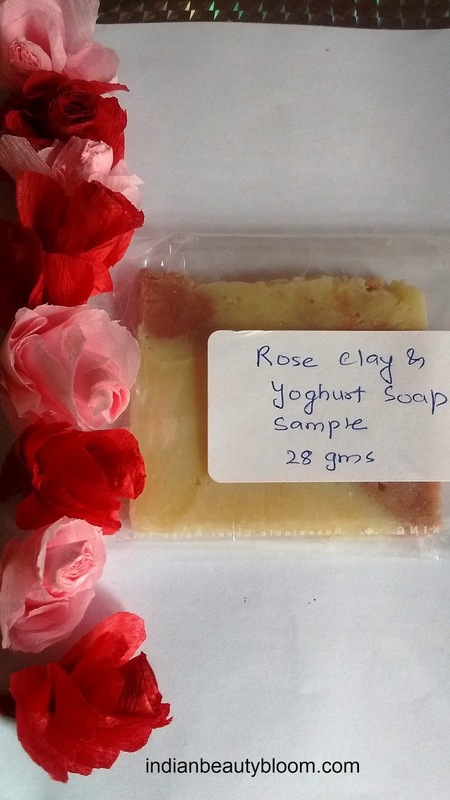 Rose clay & yogurt soap is a hand made soap from PaNee soaps which contains Rose Clay and Yogurt . 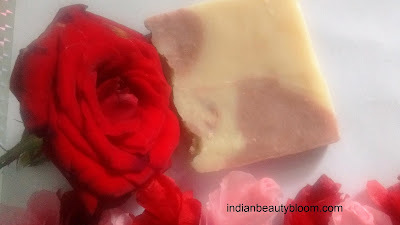 Rose Clay is a type of clay which is very mild and pink in color which has many medicinal benefits . It helps to reduce inflammation , remove dead skin and harmful toxins , also it fades pigmentation . It exfoliates the skin and tightens the pores , improves blood circulation , regenerates collagen and promotes new cell growth . Yogurt is a great moisturizer that revives dull complexion . Yogurt break down dried skin cells and particles that clog pores thus helps to cure acnes and pimples . 2 years from the date of manufacture . 1.All natural ingredients , with various oils in it . 2. No chemicals or preservatives added . 3.Shelf life is good . 4.Thoroughly cleanses the skin and remove all traces of oil and dirt , thus making skin clean and fresh . 5.Does not melts fast like many other soaps . Availability might be an issue as its available only online , not available in general stores . I have used this soap few times and its good . i washed my face with it few times and it cleaned the skin properly and removed all oil , dirt , dead cells and made the skin look clean and fresh . Since my skin type is oily i need something which can remove all traces of oil from my face and this soap was able to do that . 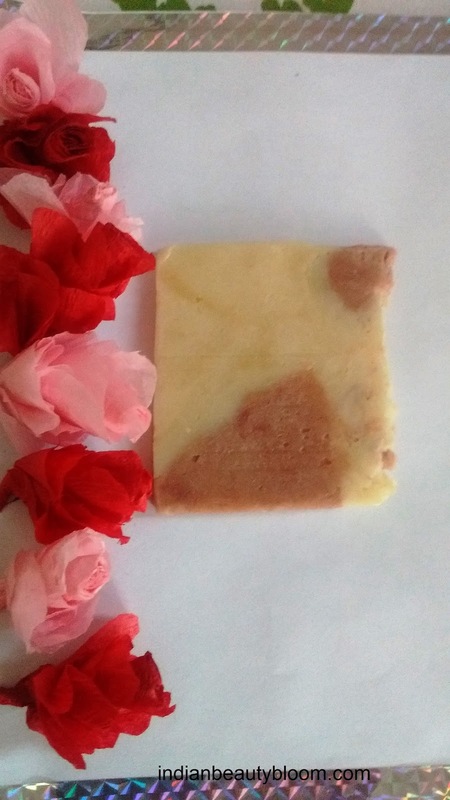 The only thing which i did not liked is its fragrance , i was expecting it to have some floral fragrance as its a type of Rose Soap but its fragrance is not great , i did not liked it , its something like an ordinary soap . So would suggest the brand to do some thing about its fragrance , rest all is good .